I love cephalopods. Cepha-what? 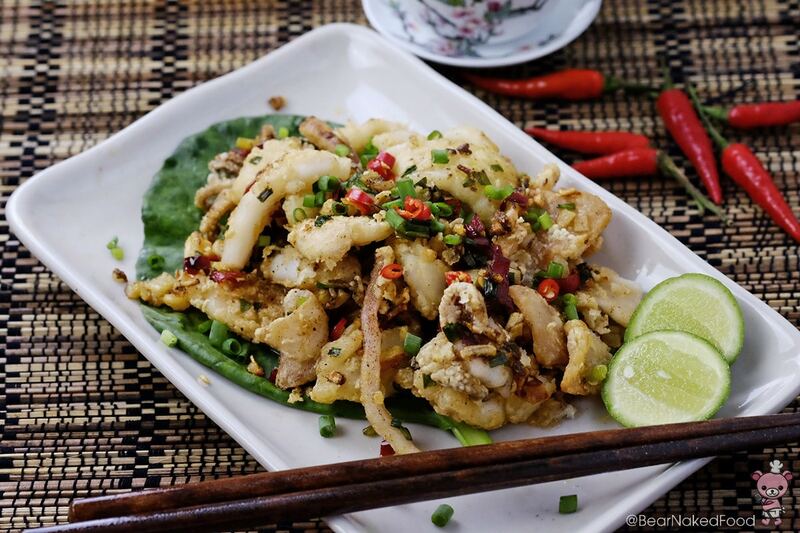 Octopus, cuttlefish, squid are some of the 300 classified species. I especially love chewing on the tentacles. So where did this dish originate from? 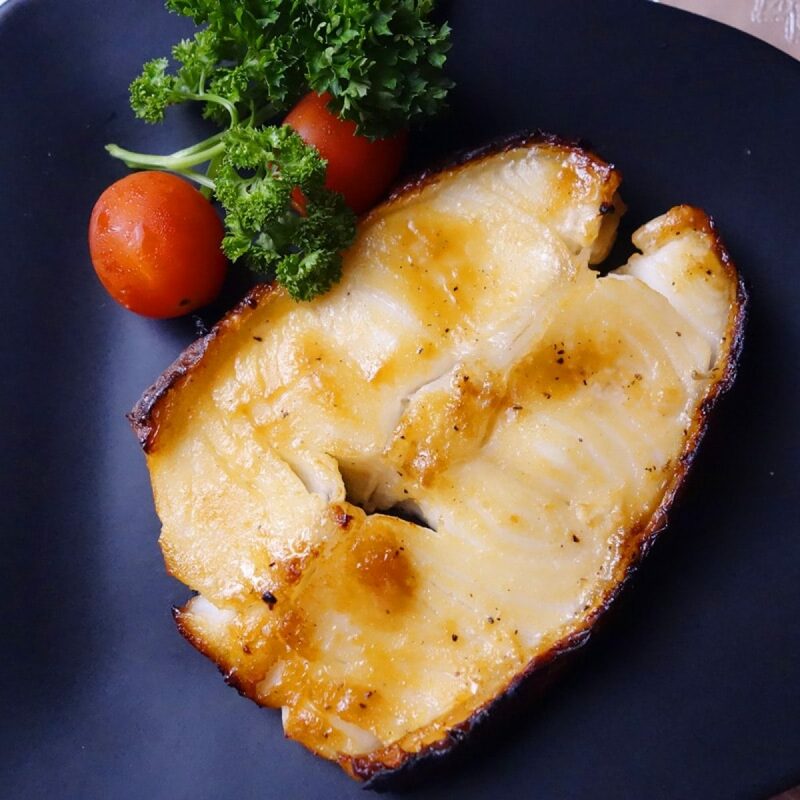 Some say it is a Cantonese cuisine, others swore it is made popular by Taiwanese, where you could find them in almost every night markets. 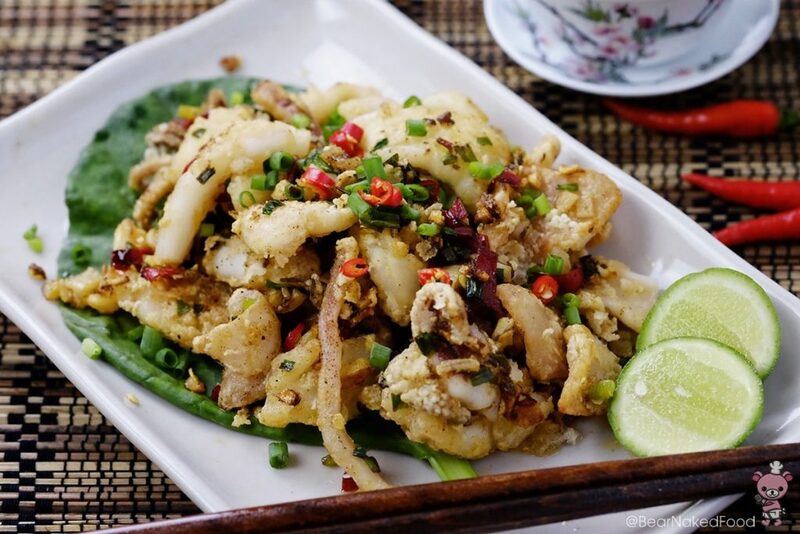 I’m not going to contest against any of that and am quite happy to settle for this Taiwanese version of Salt and Pepper Squid. 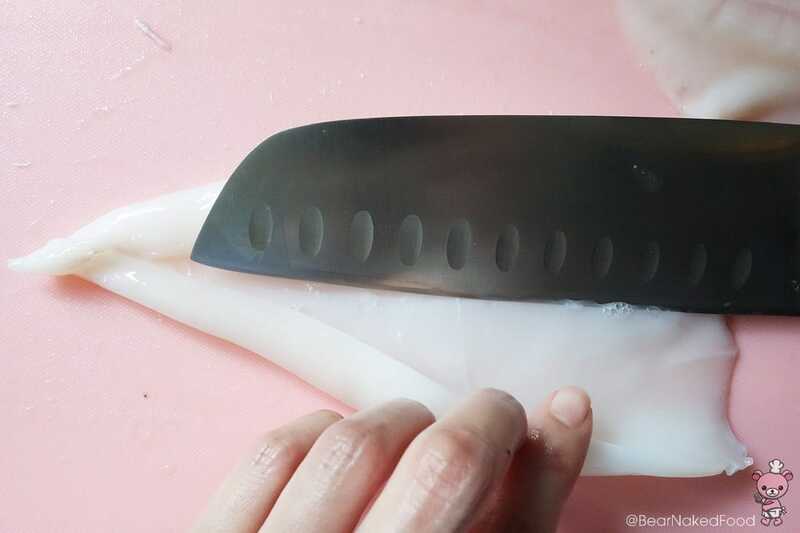 Clean the squid, score the inside and cut into 1-inch wide strips. 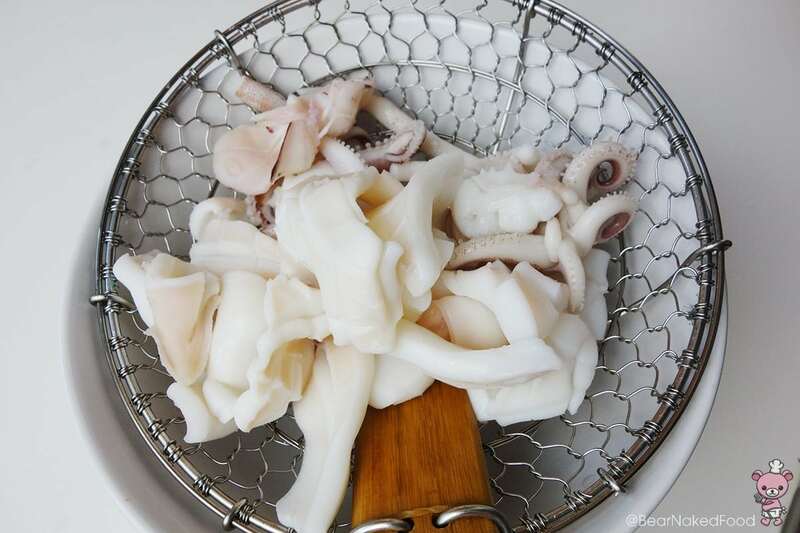 Step 1: Rinse the squid. Step 2: Separate the tentacles from the body. 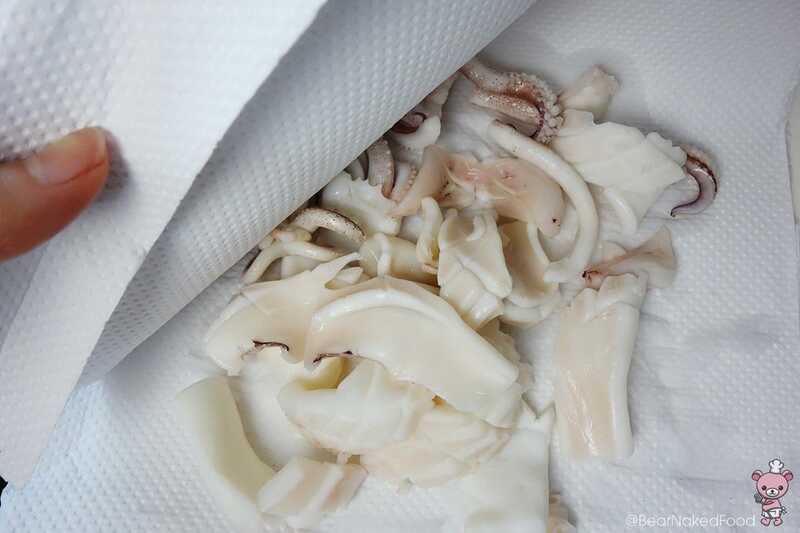 Step 3: Pull out and discard the bone located in the middle of the squid. Step 4: Peel off the skin. Step 5: Remove the fin. Step 6: Slice down the middle so it will open up into one big piece of flesh. 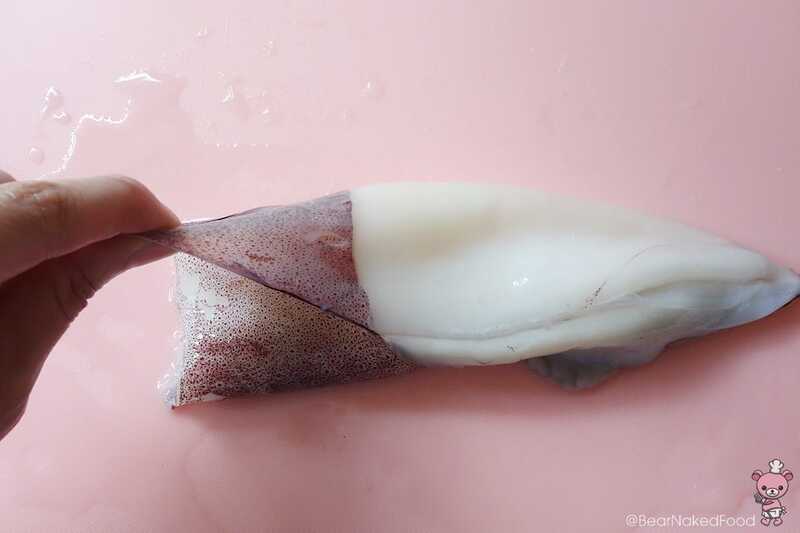 Step 7: Remove any gut inside the squid. 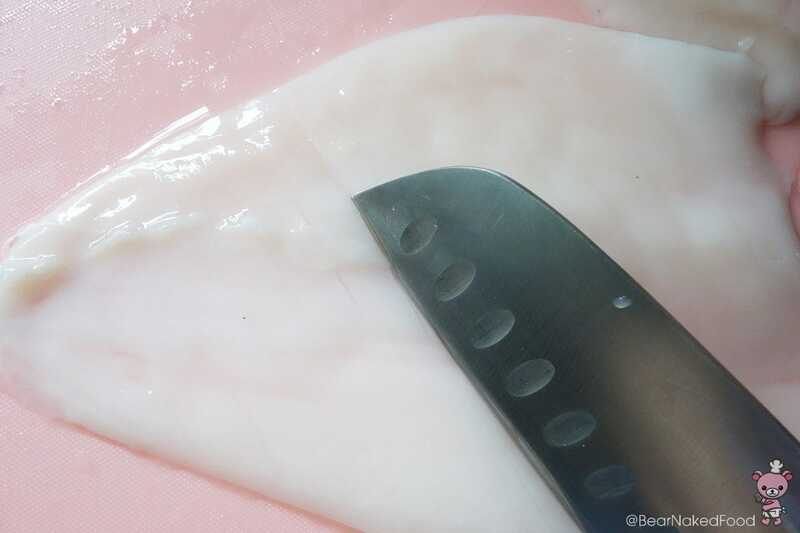 Step 8: Use a knife and make score marks on the squid. 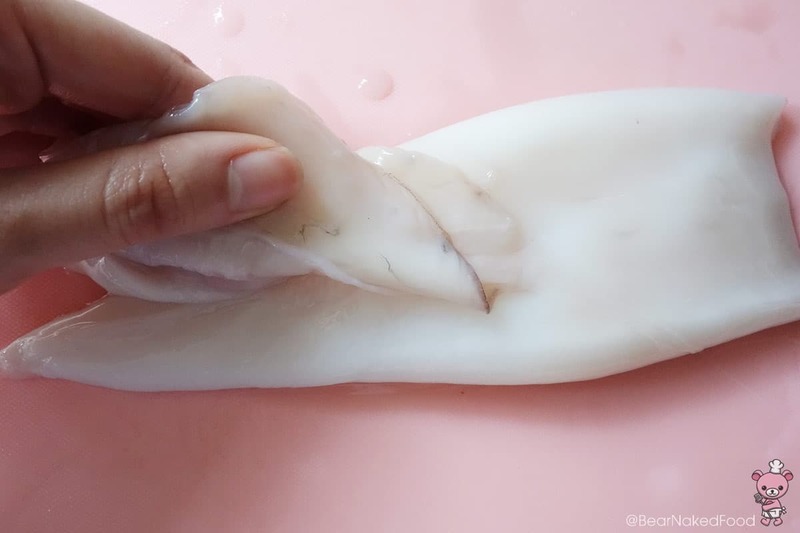 Step 9: Fold the squid into half and cut them into 1-inch thick slices. 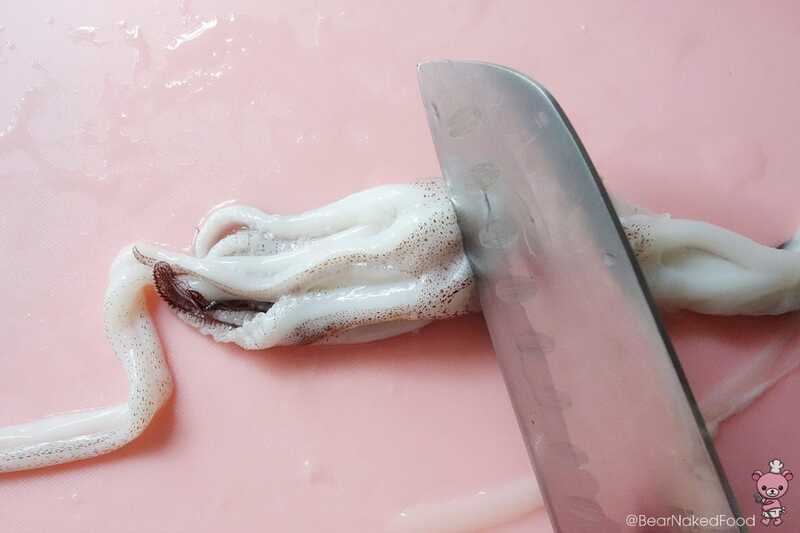 Step 10: Cut off the eye and save the tentacles. 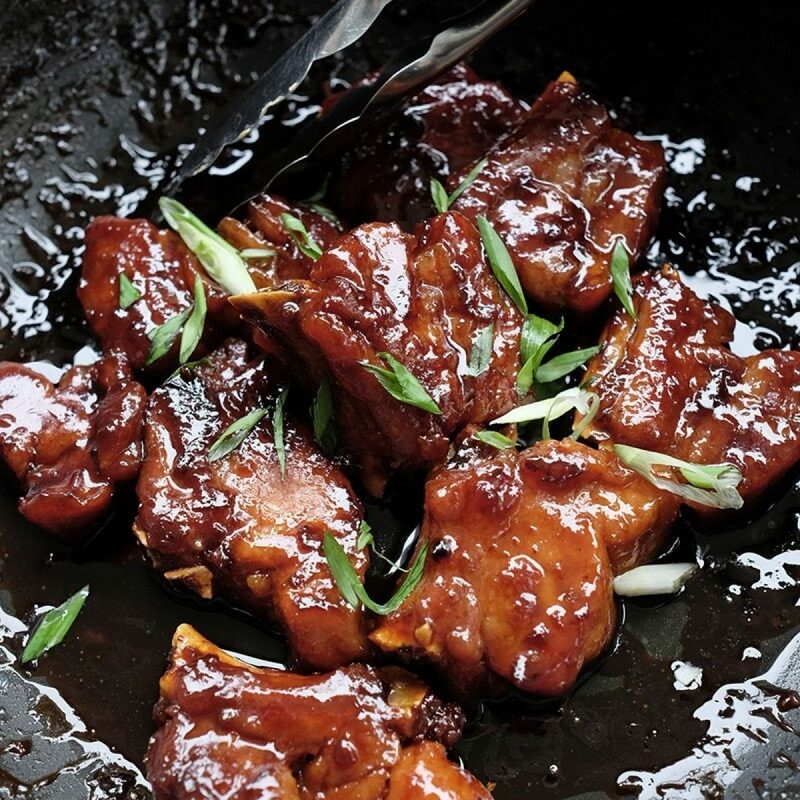 Heat a pot of water and when it is boiling, add in 2 tbsp of the rice wine. 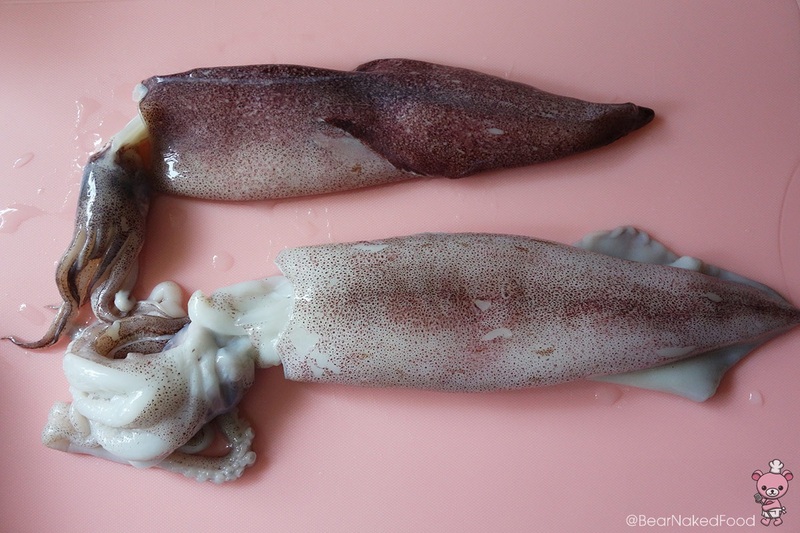 Drop in the squid gently and blanch for 30 secs. This will get rid of any fishy smell. 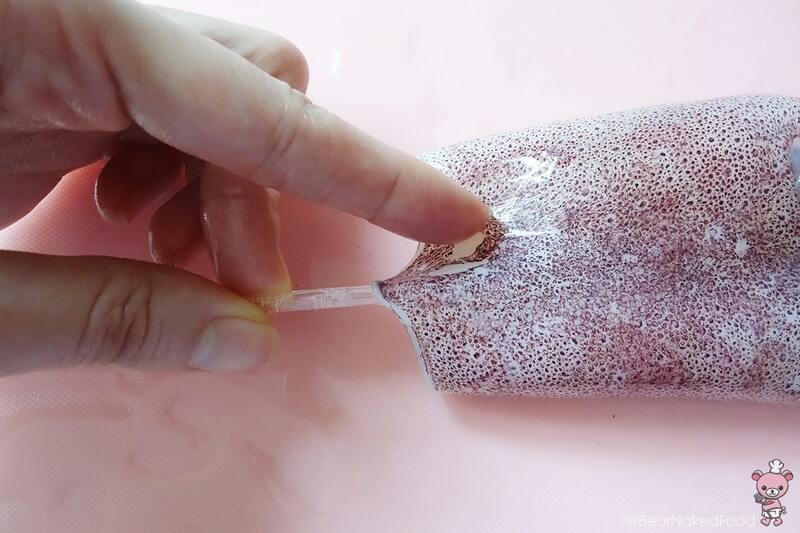 Remove from water, drain and pat dry with a paper towel. Make sure to pat them fairly dry. 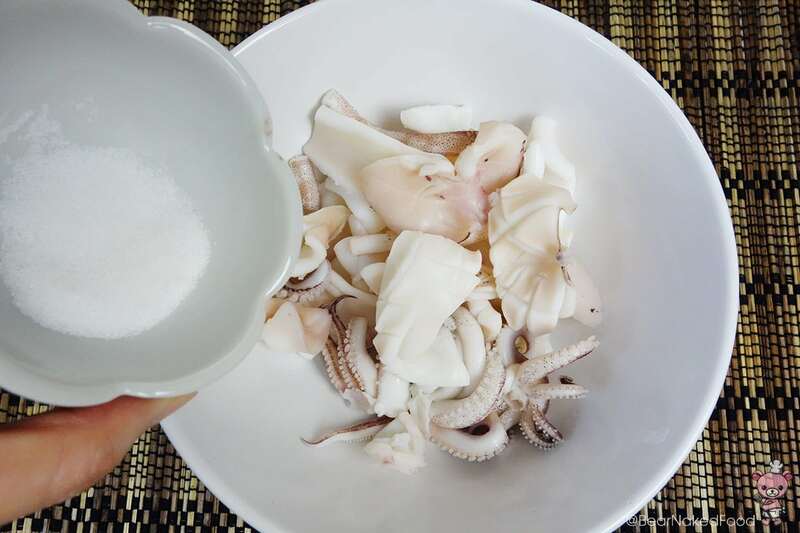 Season the par boiled squid with 1 tbsp sugar, 1 tsp salt and 1 tbsp rice wine. Mix well and set aside. 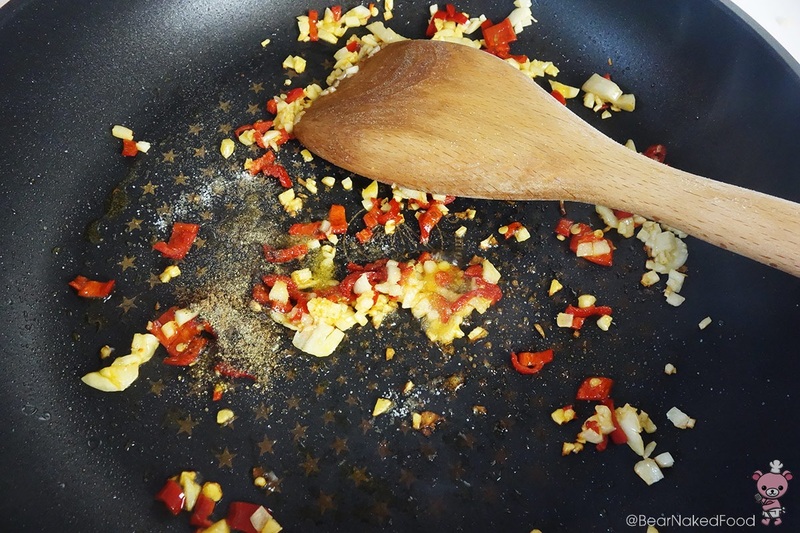 In a large pan or wok, add in vegetable oil covering about 1/3 the pan. 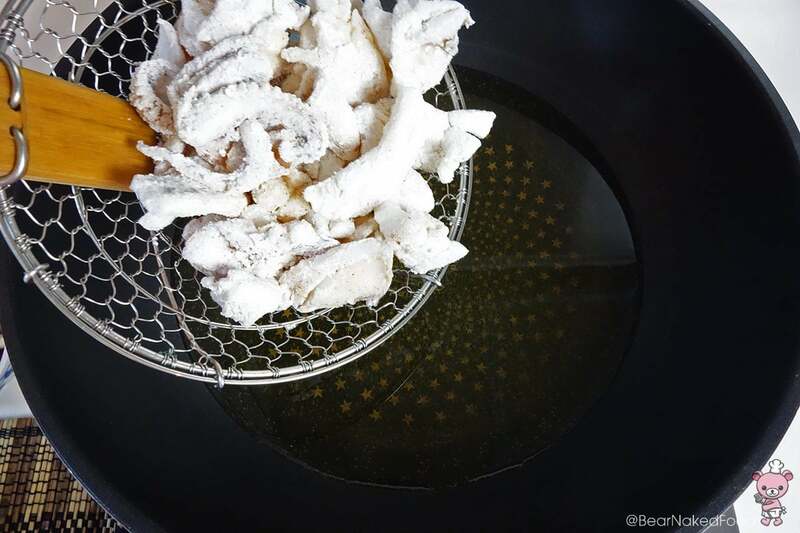 To test if the oil is hot, stick a chopstick in the middle of the pan and if you see bubbles around the chopstick, then it is the right temperature. 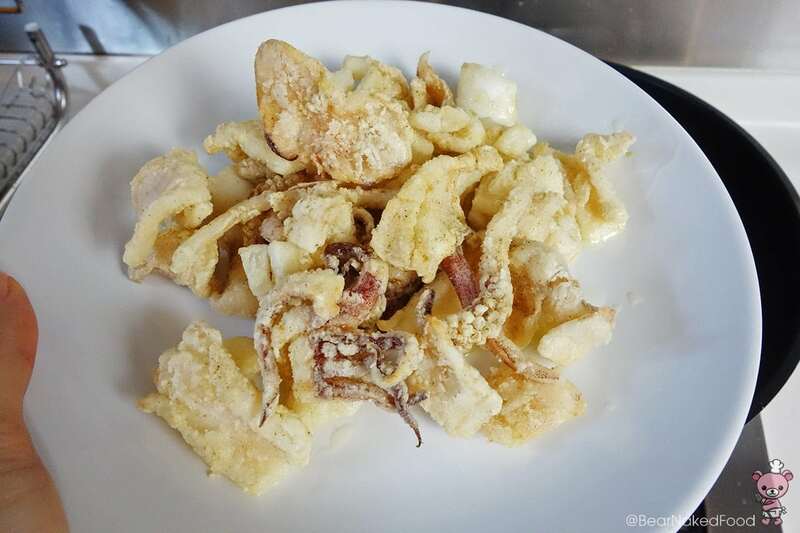 We want the oil to be really hot when we fry the squid so that the flour would hold and not fall off. Dredge the squid with the flour and slide them gently into the oil. 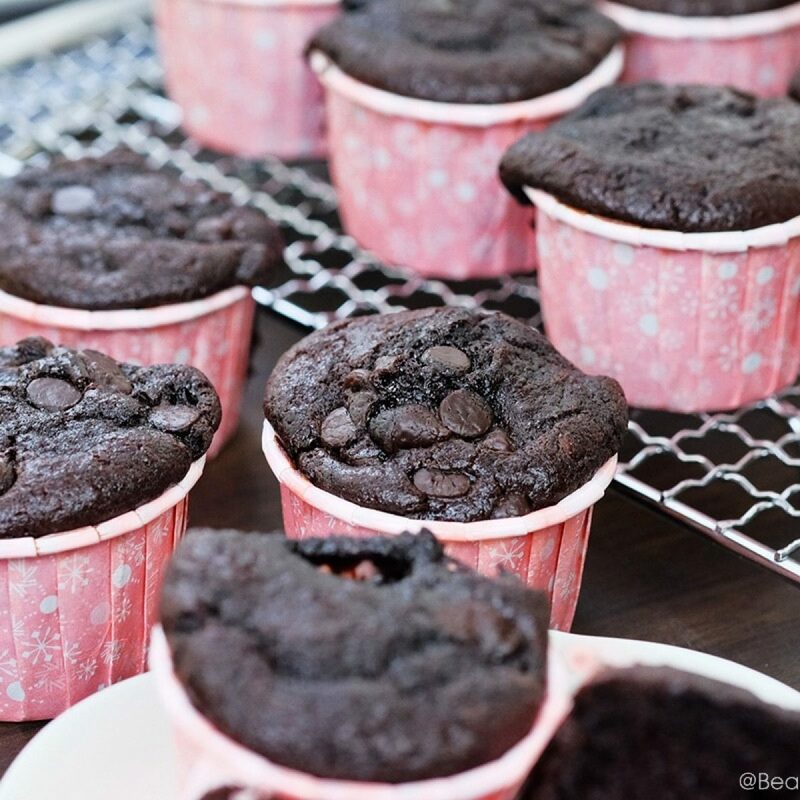 Put them in gently to avoid splatter. Fry for about 30 secs, until the exterior is crispy. 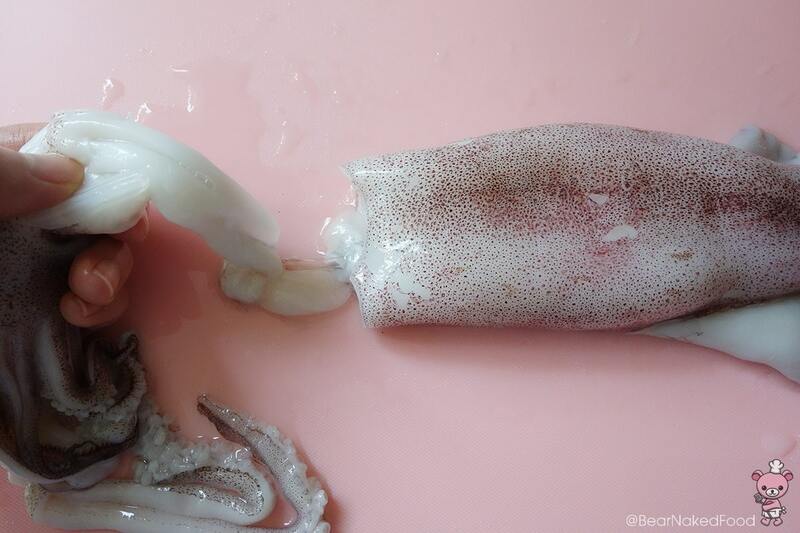 Do not overcook the squid or they’ll become rubbery. Drain and set aside. In a separate pan, heat up 2 tbsp of oil and add in garlic, chilli, five spice powder, remaining salt, sugar and pepper. Stir for a minute until fragrant and add in the spring onions. 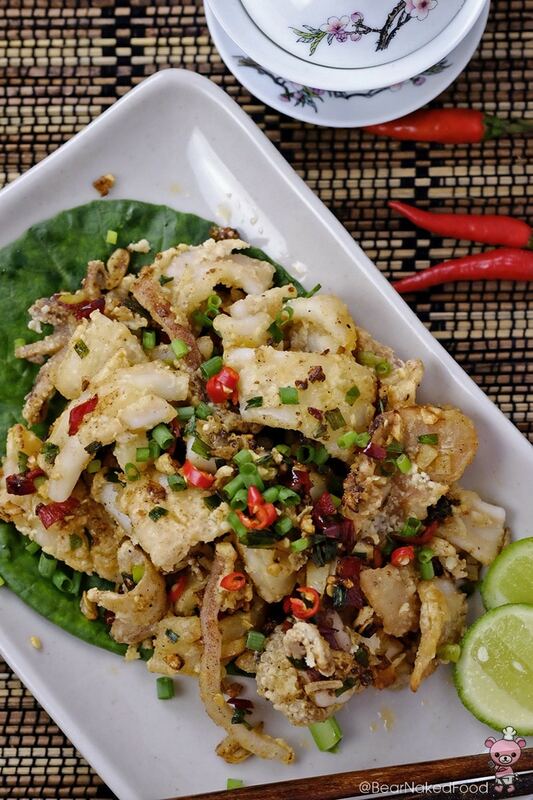 Toss in the squid and cook for a final 15 secs. 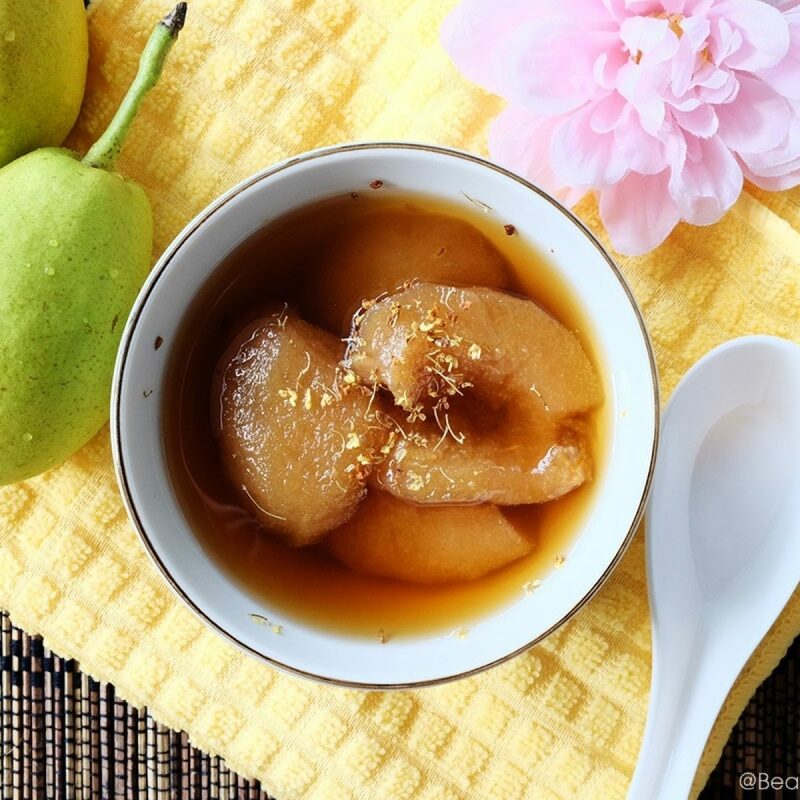 Serve hot with a wedge of lime or lemon. 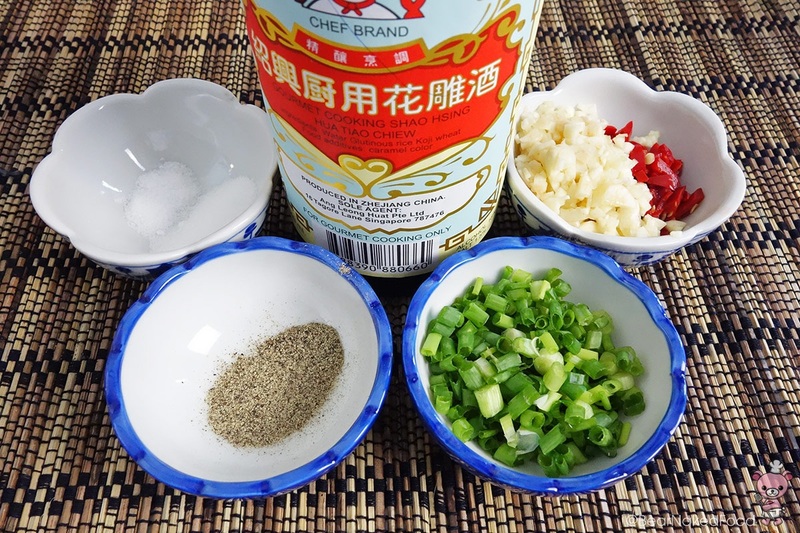 Heat a pot of water and when it is boiling, add in 2 tbsp of the rice wine. 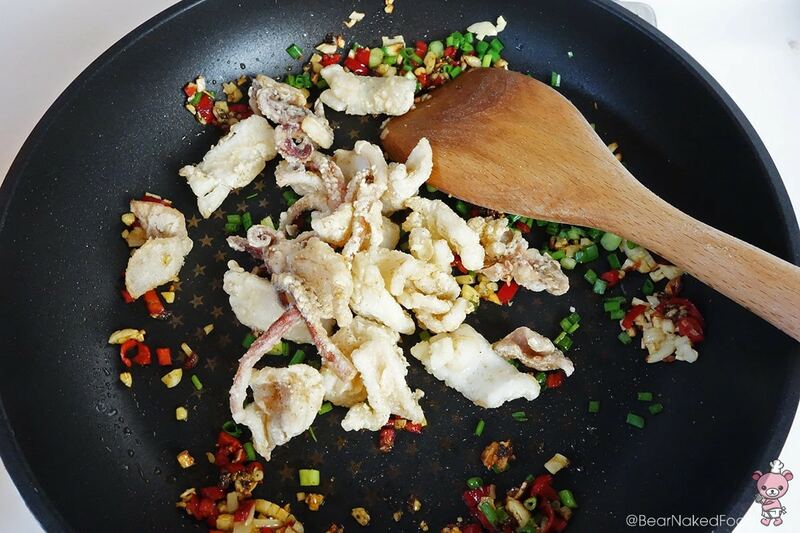 Drop in the squid gently and blanch for 30 secs. This will get rid of any fishy smell. Remove from water, drain and pat dry with a paper towel. 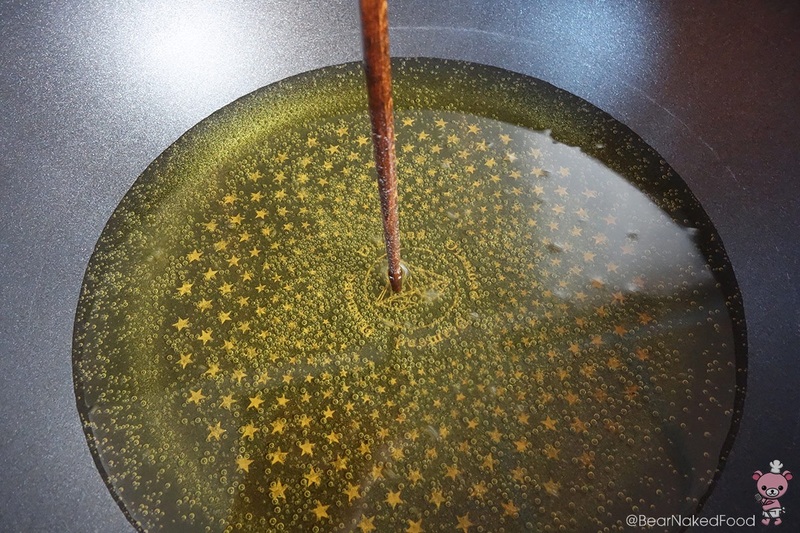 In a large pan or wok, add in vegetable oil covering about 1/3 the pan. 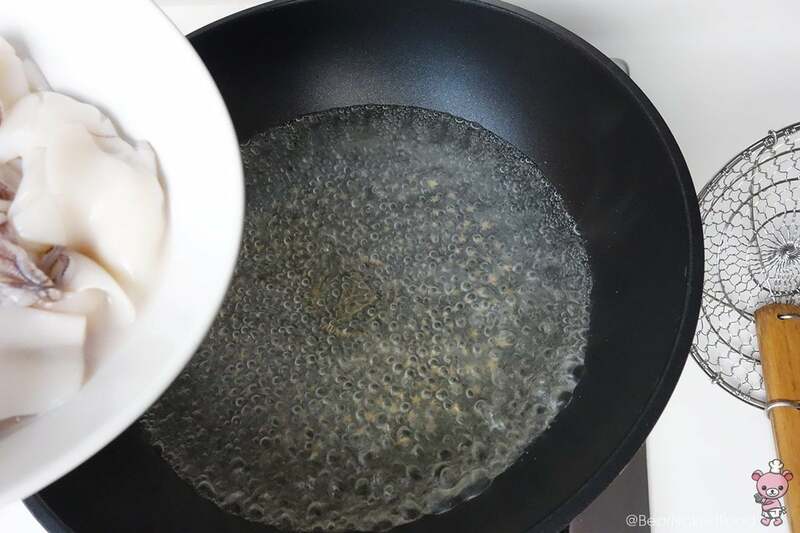 To test if the oil is hot, stick a chopstick in the middle of the pan and if you see bubbles around the chopstick, then it is the right temperature. 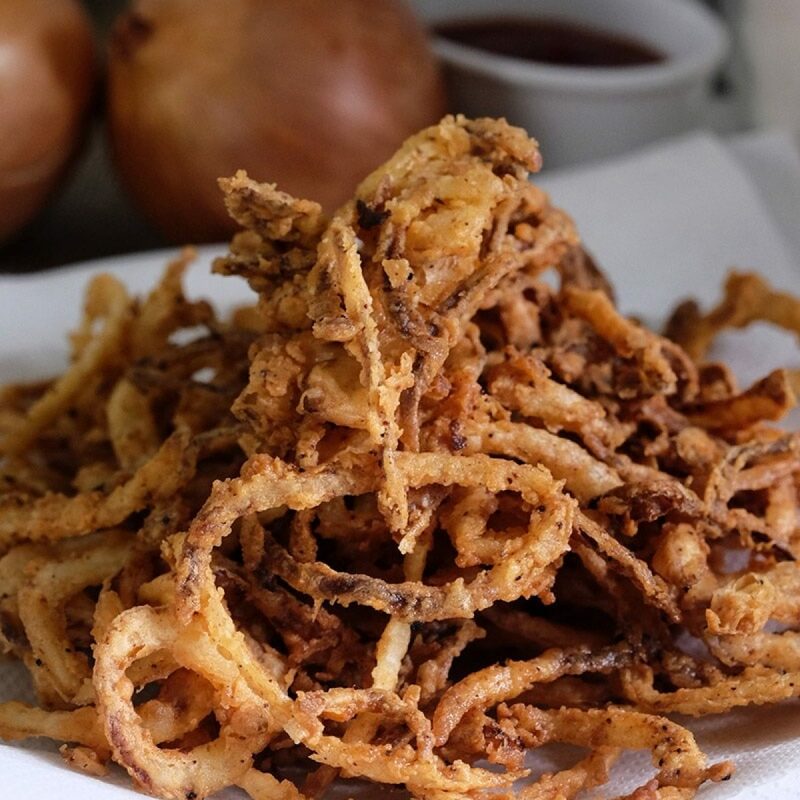 We want the oil to be really hot when we fry the squid so that the flour would hold and not fall off. 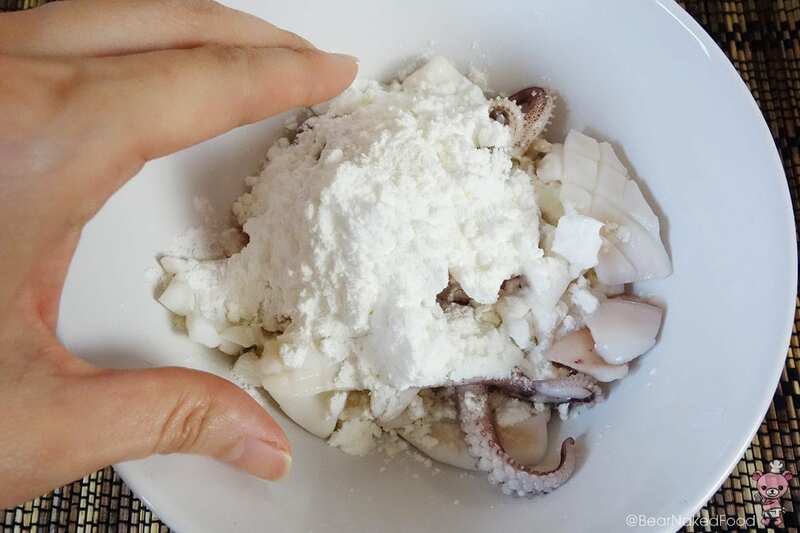 Dredge the squid with the flour and slide them gently into the oil. Fry for about 30 secs, until the exterior is crispy. Do not overcook the squid or they’ll become rubbery. Drain and set aside. In a separate pan, heat up 2 tbsp of oil and add in garlic, chilli, five spice powder, remaining salt, sugar and pepper. Stir for a minute until fragrant and add in the spring onions. 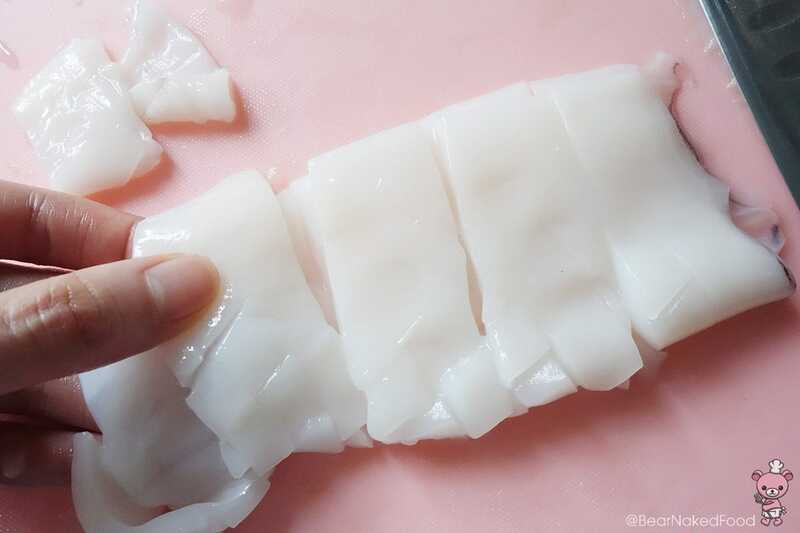 Toss in the squid and cook for a final 15 secs. 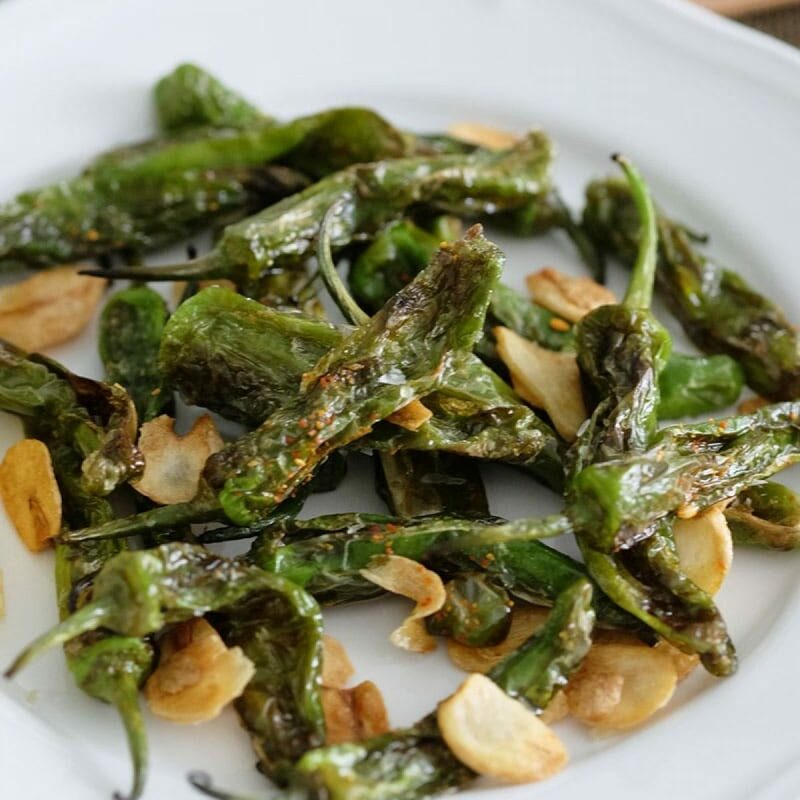 Serve hot with a wedge of lime or lemon.